I’ll be honest from the get-go. 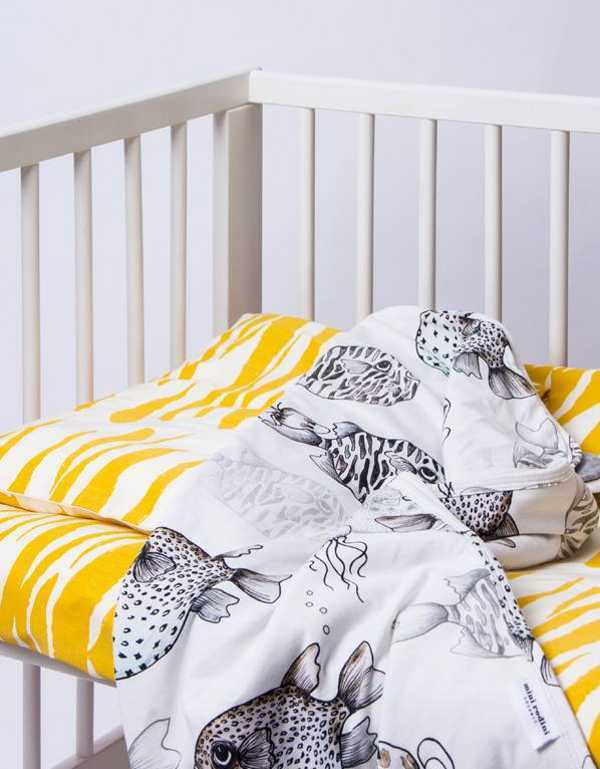 This post will whet your appetite for a knock-out collection of nursery linen, only to make you wait (patiently or not) for its official release next month. But for now, read on to see what all the fuss is about. 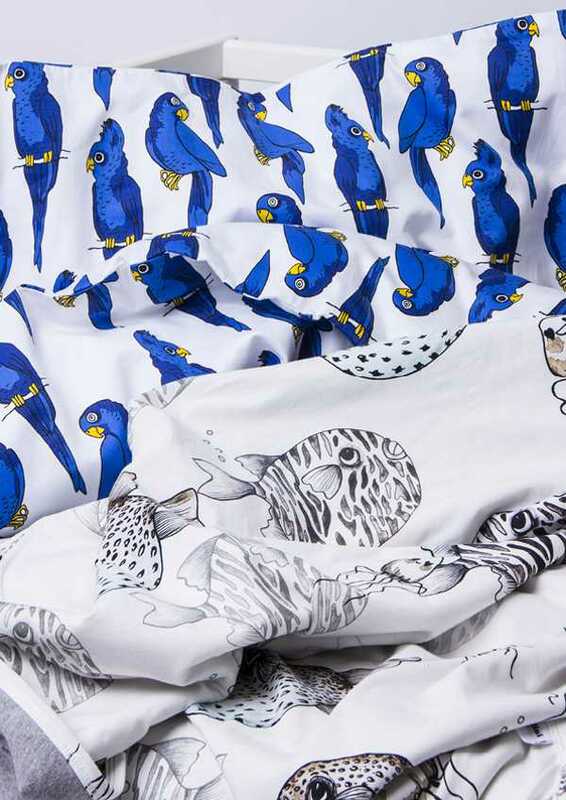 Mini Rodini – one of Scandanavia’s fastest growing children’s wear brands for good reason – is about to launch its first foray into linens, Mini Rodini Home Collection. Here’s what we know so far – the collection will be sold exclusively online and in stores (there are some Australian stockists of Mini Rodini, and the brand also ships worldwide from its online store). The new collection is organic and also meets Fair Trade standards. The home collection will include organic bed linens, upcycled cotton products and a blanket made from undyed, unbleached, non-threatened rainforest cotton. The prints and dyes are also eco-friendly. The bed set will come in two sizes, for cots and a junior size – which is designed to suit adults as well. From the sneak peek available, it looks like this first collection can be described in three words: fun, fun fun! 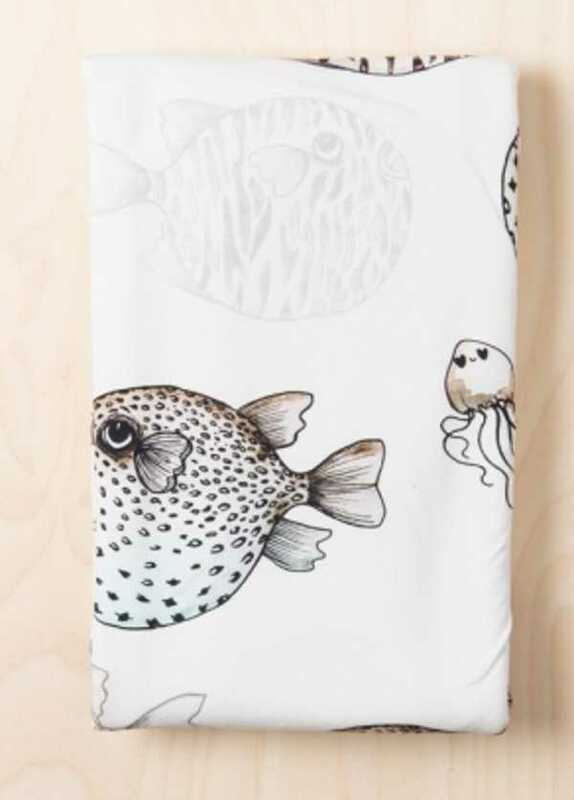 Animals from the deep and those in the sky look to make an appearance, and we just can’t wait to see what the rest of the collection includes when released next month.